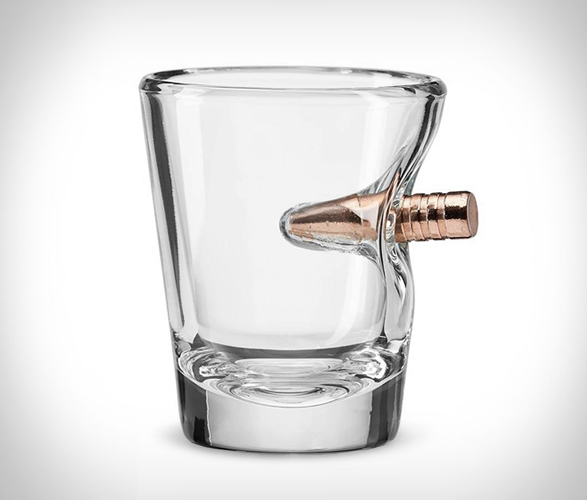 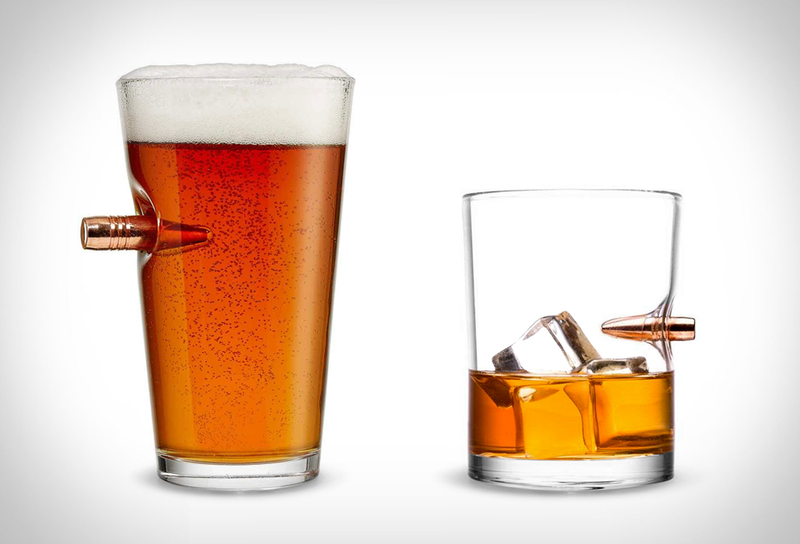 BenShot design and build fine, handcrafted whiskey, beer, and shot glasses with a genuine bullet lodged in their side. 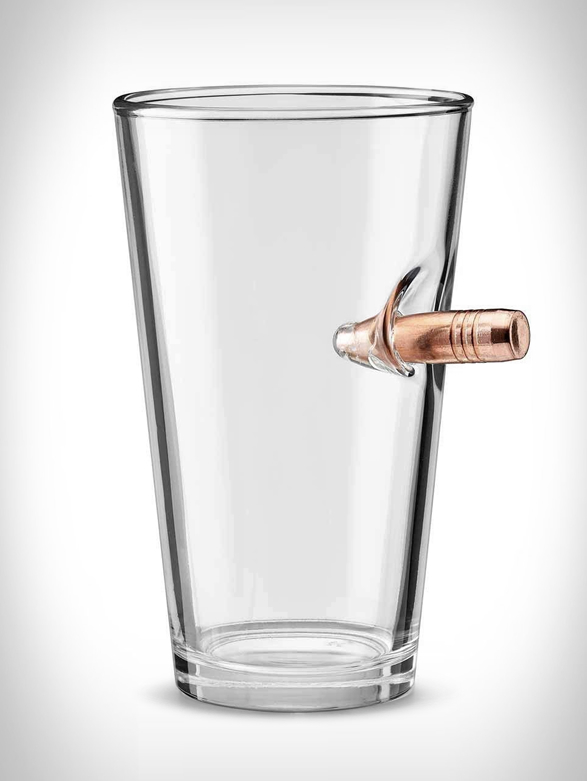 Brilliantly designed and carefully handcrafted, the unique "Bulletproof" Glasses (not actually bulletproof or shatterproof) are embedded with a real bullet that is twisted into the container while it is still red hot. 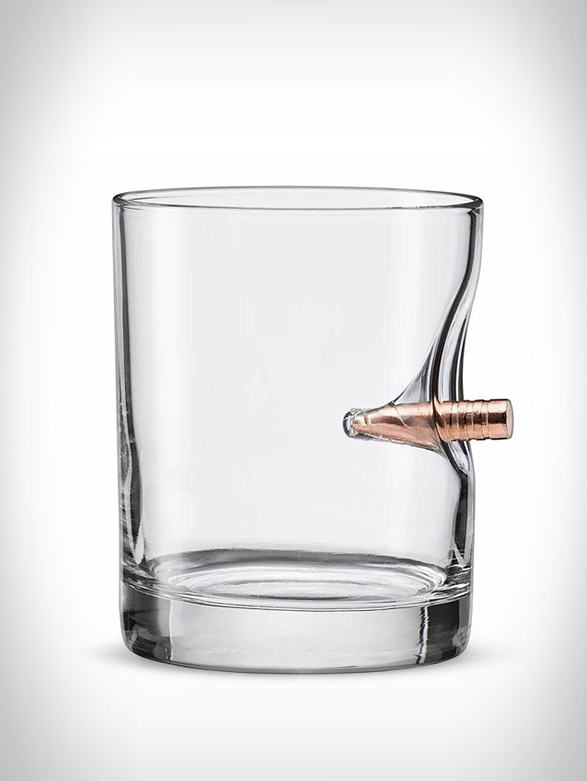 The glass seems to have absorbed the impact and warped to the shape of the bullet. 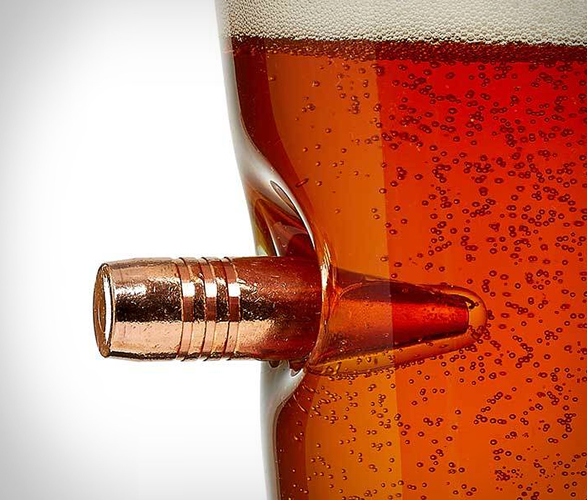 Perfectly safe to use, it will surely lead to plenty of contemplations and conversations about the unique drinking vessel.